THE DOBSON FACTORY is a French workmanship company, located in Blanzy, South Burgundy, France, owned by Pierre Desvaux. 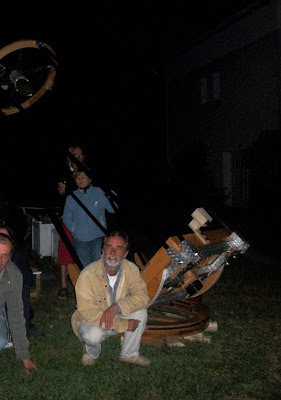 As a passionate astronomy amateur, with special focus on visual observation, sketching and telescope making, I made my first dobsonian telescope in 2005. It was an ultralight dobsonian telescope, directly inspired by the latest developments of Mel Bartel and Greg Babcock in the US, particularly the ring basis, the flex rocker, and the upper single ring. Every following telescope I made thereafter were based on those same principles. After a professional business life all around the world in the US, UK, and Japan , I decided to come back to my countryside and my small birthplace village in France. 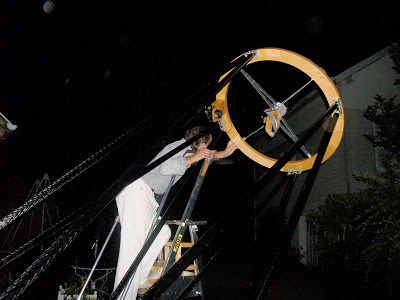 I took over the workshop of my father and grandfather, who used to work with wood and metal for industrial modelling, machining and foundry industry and decided to make dobsonian instruments for the astronomers community. 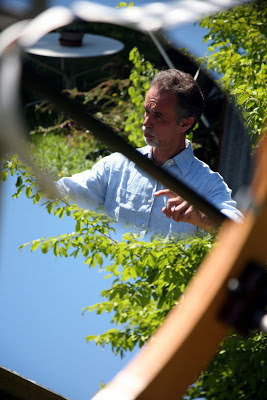 I enjoy working in a large and convenient workshop in the middle of a garden with trees and flowers. My machines are old, the classical machines for a carpenter or cabinet maker, or metal machining, but they work very finely. No need for CNC machinery when you make unique custom made products! All I want is to share my passion for Astronomy with other passionate amateurs, and provide them with the highest quality instruments they deserve. Each of my instruments is unique, built with the love for my work. I particularly appreciate when my clients become my friends. Blanzy is located in France, in South Burgundy, between Le Creusot and Montceau les Mines, 60 km far from Chalon sur saone. If you come by car from Paris or Lyon, please take A6 highway, exit Chalon sur saone. Please follow the high speed road in direction of Le Creusot, then , Montceau les mines, exit Blanzy Centre. If you come by train (high speed train TGV between Paris and Lyon, stop at Le Creusot-TGV station, I will pick you up. Please to not hesitate to contact me.